Out of all the shows I’ve gone to this fashion week, MacDuggal was one of the most surprising. 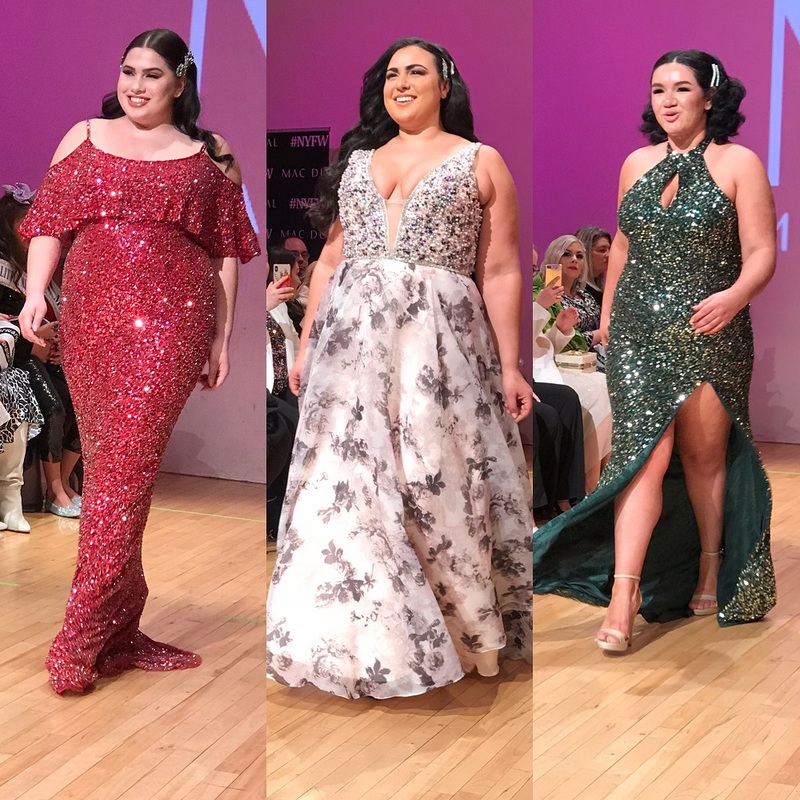 MacDuggal dresses is one of the go to brands for plus size prom dresses. In addition, they are sponsors for Miss USA, Miss Universe, and Miss America. Celebrities like Adrienne Moore of Orange Is The New Black and Naturi Naughton of Starz Power have both worn MacDuggal to red carpet events. Upon arrival to the MacDuggal NYFW show, my thought was the show was going to be a mix of straight and plus size models. To my surprise the show featured all MacDuggal plus size models. 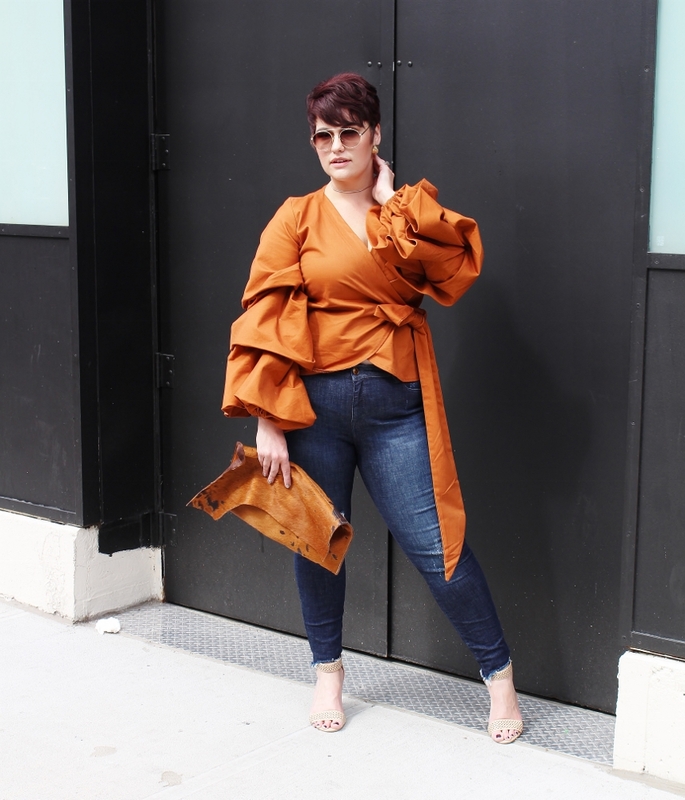 What I really liked is that they were all young up and coming plus size models. As the models started coming down the runway in MacDuggal dresses, my mouth flew open. The dresses were gorgeous and they came in plus sizes. The gowns were a medley of prom dresses and true red carpet worthy dresses. Some of my favorite MacDuggal dresses were a green sequin halter neck gown with a thigh high split and a red sequin off the shoulder ruffled gown. There was a beautiful two piece set that had a floral crop top and a blue maxi skirt with a high split. Each of the gowns had intricate details from beading and sequins to floral appliques. 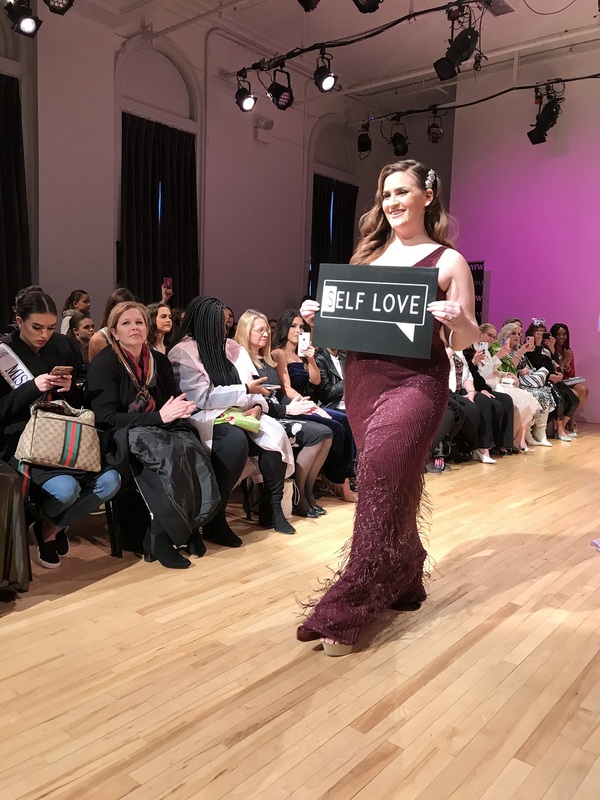 While MacDuggal featured some showstopping gowns, one of the great things about their New York Fashion Week show was that it included body positive messages. Instead of a final walk with all the models, a few of the models came out holding signs. Each of the signs had body positive messages that read self love and unashamed. I read this article and found it very interesting, thought it might be something for you. 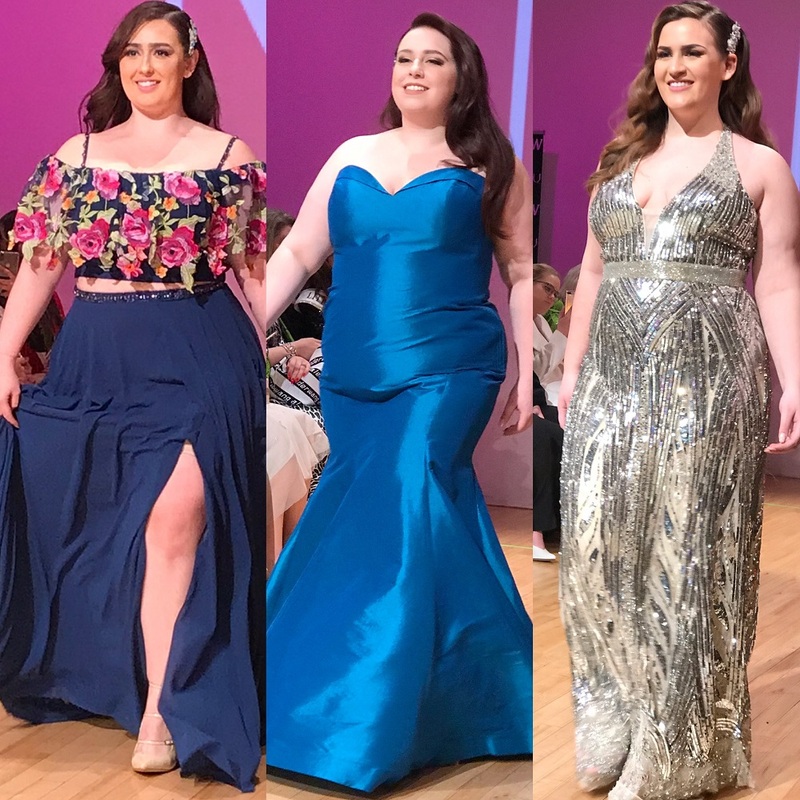 The article is called MacDuggal’s NYFW Show Was Body Positive At Its Best and is located at https://stylishcurves.com/macduggal-plus-size-dresses/.